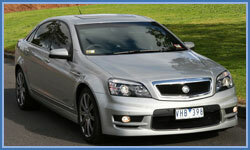 Our current model E Series HSV Grange sedans available in dazzling silver make a commanding statement. 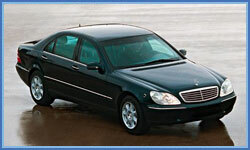 Full leather upholstery, air-conditioned and equipped with CD stereo and DVD for your comfort. Allow our professional chauffeurs to transfer you to your destination safely, in style and comfort. 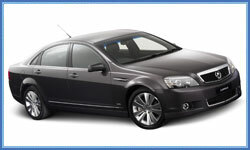 Current model Holden Statesman & Caprice available in black, white or silver. Current model Ford Fairlane & LTD available in black or white. 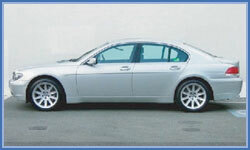 The luxurious BMW 7 series in elegant black or sparkling silver. Full leather upholstery and, air-conditioned for your comfort. The S Class Mercedes Benz sedan available in black and silver. Please note : All vehicles displayed are subject to availability. Please book early to ensure your preferred vehicle is available. 6, 8, 10 & 12 seater luxury stretch limousines are available on request. 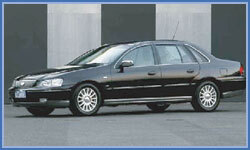 Advanced bookings for limousines are essential.